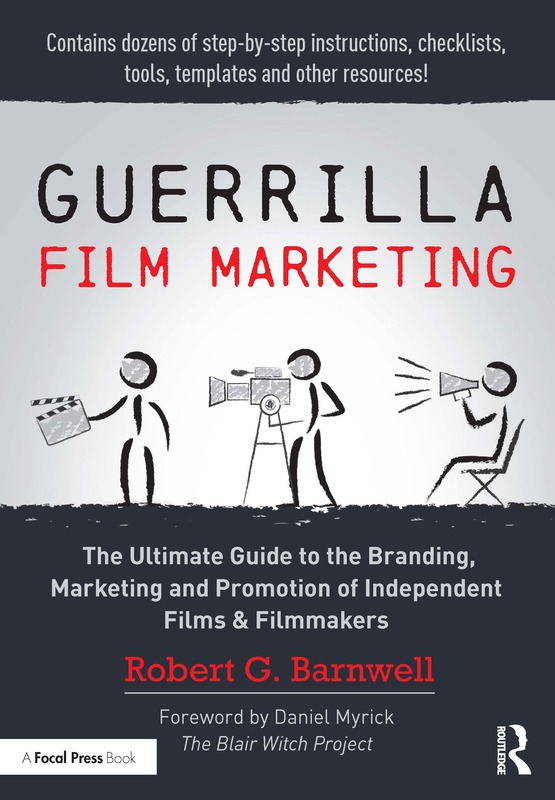 Guerrilla Film Marketing takes readers through each step of the film branding, marketing and promotional process. Tailored specifically to low-budget independent films and filmmakers, Guerrilla Film Marketing offers practical and immediately implementable advice for marketing considerations across every stage of the film production process. Maximize the marketing impact of events such as test screenings, premiers, film festivals and industry award ceremonies. Guerrilla Film Marketing is filled with dozens of step-by-step instructions, checklists, tools, a glossary, templates and other resources. A downloadable eResource also includes a sample marketing plan and audit, a test screening questionnaire, and more. Robert G. Barnwell is the founder and creative director of a small independent production company established to reduce the risks and increase the profitability of low-budget film projects on behalf of its investors. Previously, he worked as a strategy consultant and corporate banker providing advice and financing for such studios as 20th Century Fox, Columbia Pictures, Disney, MGM, Paramount Pictures, Universal and Warner Brothers. Robert has served as an adjunct professor at Ringling College of Art & Design and as a speaker and guest lecturer at several leading film schools, seminars, and workshops.